Marilyn Cornwell Blog: Lilycrest Garden in Full Bloom! Lilycrest Garden in Full Bloom! My brother, Dr. Brian Bergman, is a lily hybridizer with a large hybridizing and growing field near St. Catharines. 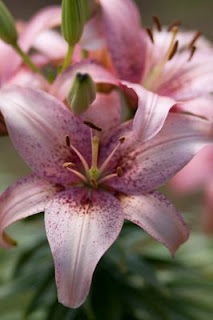 The name of the field and hybridizing activity is Lilycrest Garden. I hope you come out to the show and enjoy the RBG and its gardens!